Keto Recipes to make your dieting easy! If you’ve landed here it’s probably because you either want to eat low carb, are currently eating low carb, or have a family member you cook for who is eating low carb. The Keto diet has absolutely taken the world by storm and for good reason! You can enjoy bacon, cheese, fatty steaks, and so many other delicious options that most diets would consider “cheating”. Keto recipes are golden when you are getting started in this lifestyle. The recipes below are amazing ketogenic dishes your entire family will love. These quick and easy keto dishes make the perfect low carb dinner dishes! 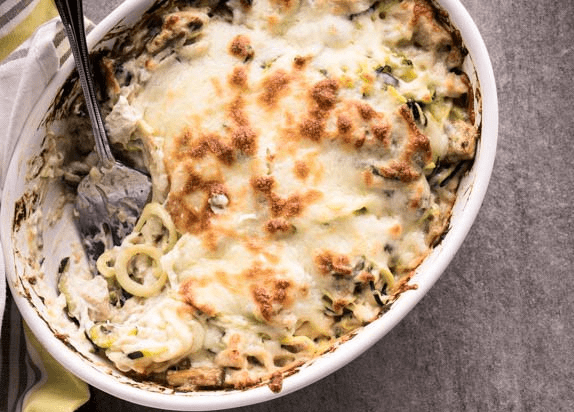 I love having these recipes handy for a casual night or a fancy keto dinner! All of these are super creative ways to make eating delicious, without carbs! If you want even more Keto recipes and TONS of tips to be successful with the Keto diet, check out The Keto Diet: The Complete Guide to A High Fat Diet! This book makes everything SO simple to follow and adds even more ease to the Keto lifestyle. Before I get into the keto recipes, I am going to share my must-have Keto shopping list! Lily’s Chocolate Chips – These are divine, all natural, and safe for dieters! This delicious twist on classic meatloaf, using almond flour or pork rinds in place of breadcrumbs, is crazy delicious. What is better than bacon in meatloaf?? 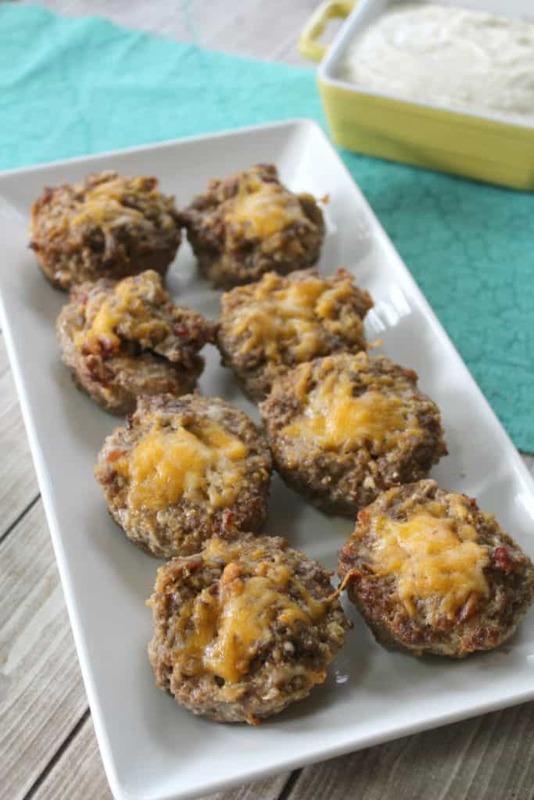 Find this keto recipe from Mostcato Mom. This Silicone Muffin Pan is perfect for mini meatloaf! RELATED: START A MONEY MAKING BLOG OF YOUR OWN IN NO TIME! I have a serious sweet tooth. I love all things dessert; but if I had to pick my absolute favorite dessert, it would ALWAYS be cheesecake. Whether it’s a good ol New York Style cheesecake or one loaded with chocolate and fudge, cheesecake has my heart. When I found this KETO recipe for Cheesecake I was mind blown and HAD to share it with you guys! Check out Loya Kitchen for the full recipe! If you want to check your ketone levels to see if you’re in ketosis, the Smackfat Ketone Strips are the absolute best! Super simple to use, super affordable, and they have literally THOUSANDS of positive reviews! If your sweet tooth is nuts and you aren’t big into baking your own keto treats, you HAVE to try these keto snacks! I am addicted! Listen, I love carbs. I love potatoes and pasta and bread and all those evil carb foods! 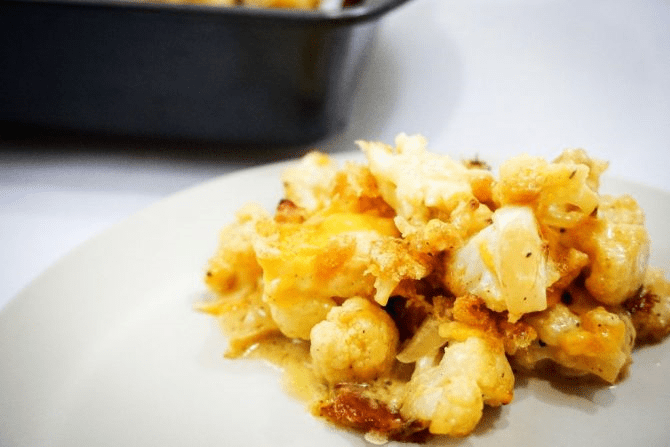 So, when you’re on any type of low carb diet, cauliflower is the holy grail of foods. It can be used to make mashed “potatoes” or “rice” or even, Mac and Cheese! This is a MUST try if you are a mac and cheese lover! 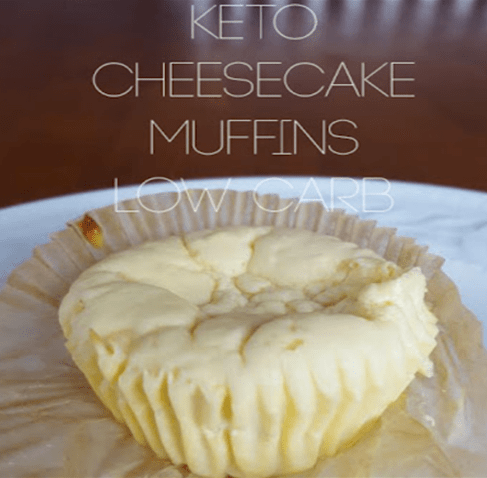 This tasty keto recipe can be found at Keto Connect! RELATED: Check out these tips for simplifying weeknight dinners for the family! You don’t have to forget pizza forever when you’re on a low carb or keto diet! With these DELICIOUS pepperoni pizza bites, you won’t even miss that silly carry out pie. 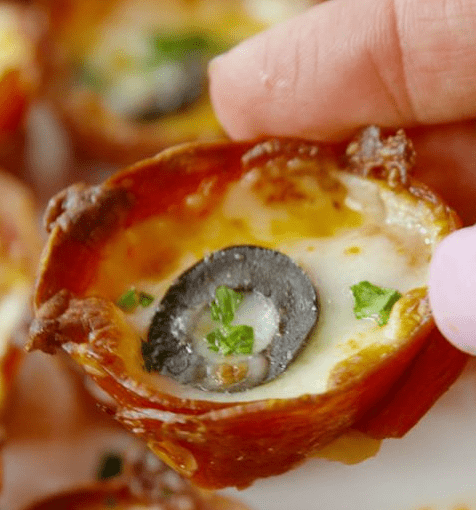 These are super easy to make and a keto recipe you are sure to repeat again and again. You can find them on Delish! Related: Check out these amazing keto dessert recipes! 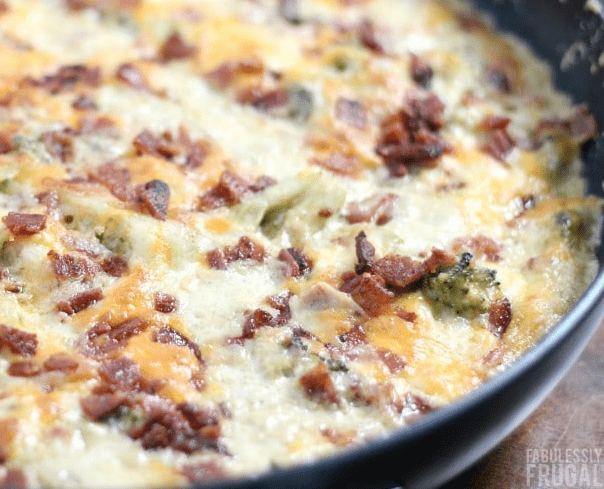 It’s cheesy chicken, it’s got bacon, it’s got broccoli, it’s got ranch, and it’s keto-approved! I don’t think it can get much better than this super simple recipe. Stir your ingredients together on the stovetop, bake for 20 minutes, and you have a delicious dinner! I scored this awesome recipe from Fabulessly Frugal! What is a life without chocolate chip cookies?!? No life I want to live, that’s for sure. 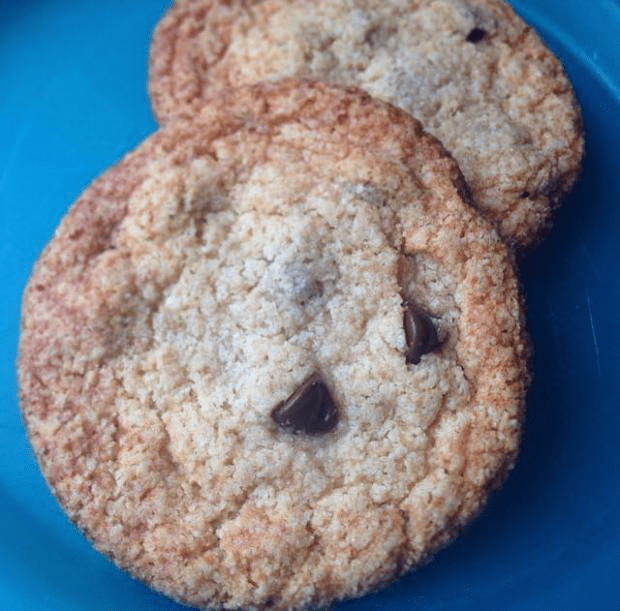 This keto recipe is amazing AND it makes just enough for you and the hubby to satisfy that urge to tear into a box of chips ahoy! (This recipe doesn’t specify an oven temperature, but I bake them at 350!) 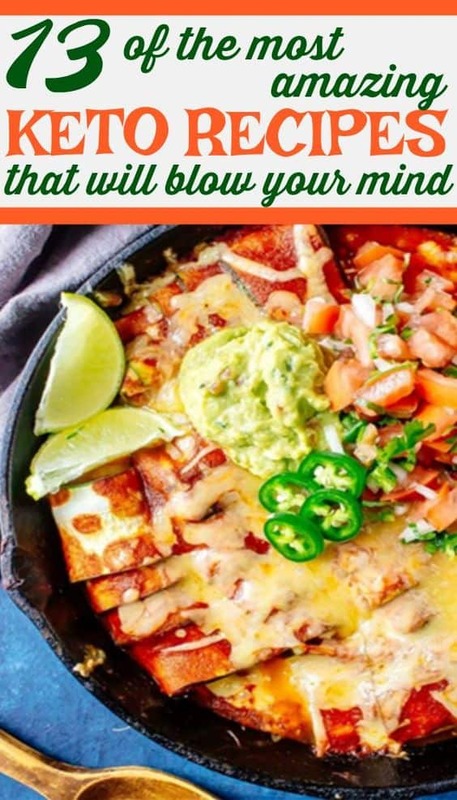 You can find the specifics of this recipe at Mouthwatering Motivation. 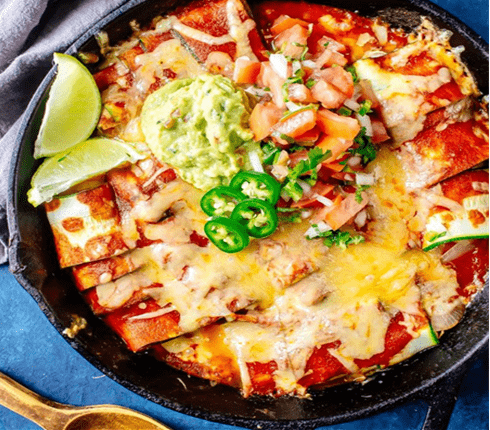 Replace tortillas with thin zucchini sheets in this recipe for an incredible Mexican dish that is guilt free! With all the flavor that is packed into this dish, you won’t miss the carbs one bit. 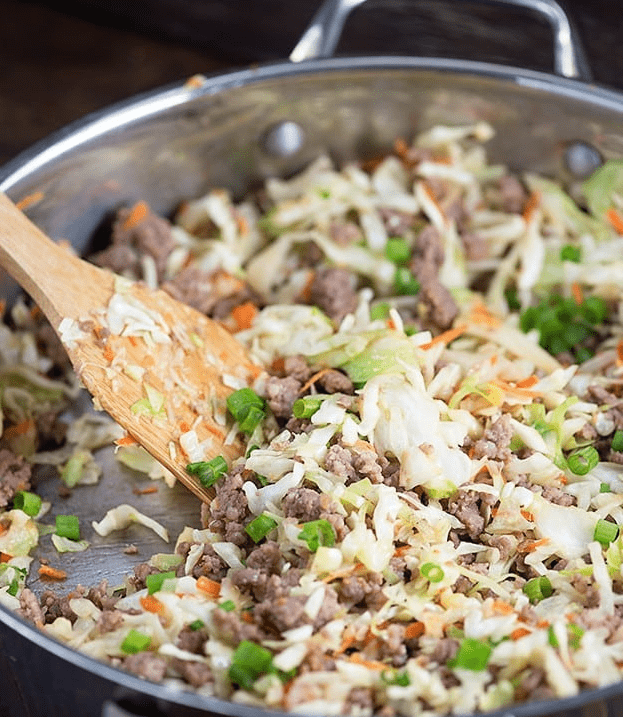 Get the full recipe from Cast Iron Keto. 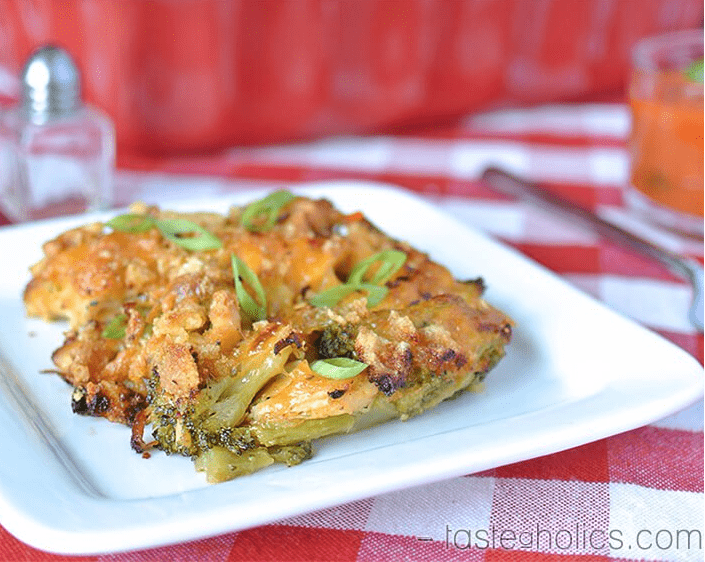 I LOVE making broccoli cheddar chicken but I have ALWAYS used rice as a main ingredient when I make this casserole. This recipe that gets rid of the rice and uses pork rinds to add a crunchy topping is absolute genius! My family ate the heck out of this keto recipe. I found this at Tasteaholics! Just because you’re avoiding carbs doesn’t mean you have to miss out on the amazing goodness of a cheeseburger! 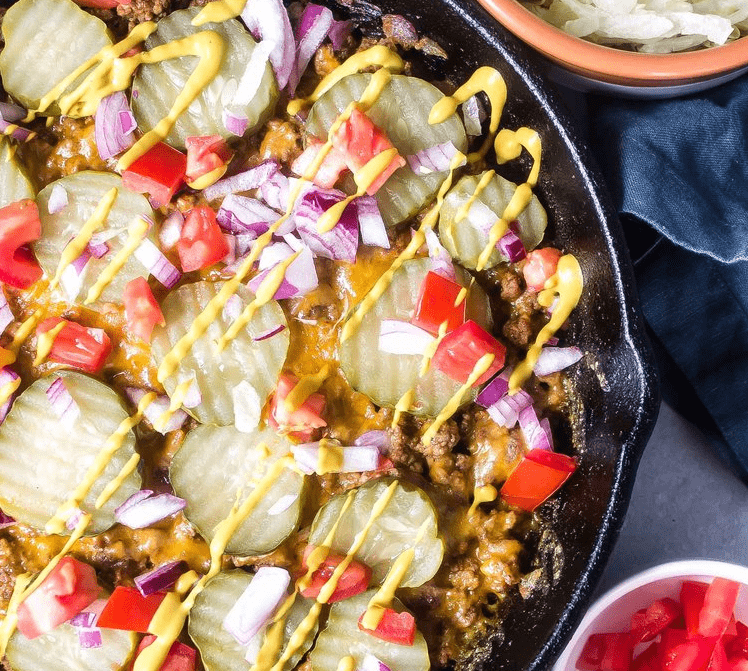 This keto recipe is everything we love about a cheeseburger, without the bread! Find it at Cast Iron Keto! One of the most beloved pasta dishes, sans carbs! This is so good that I don’t even mind the veggie replacement for noodles! 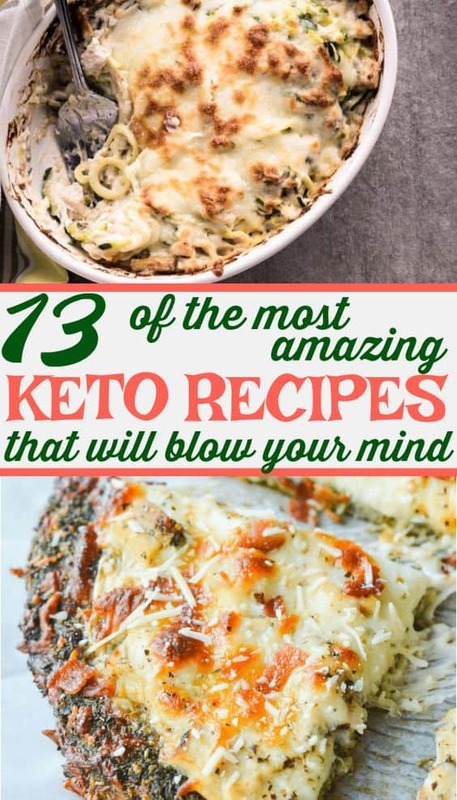 Get the recipe from Ketogasm. It’s true, I am a big believer in using cauliflower as a substitute for lots of things, pizza crust included. 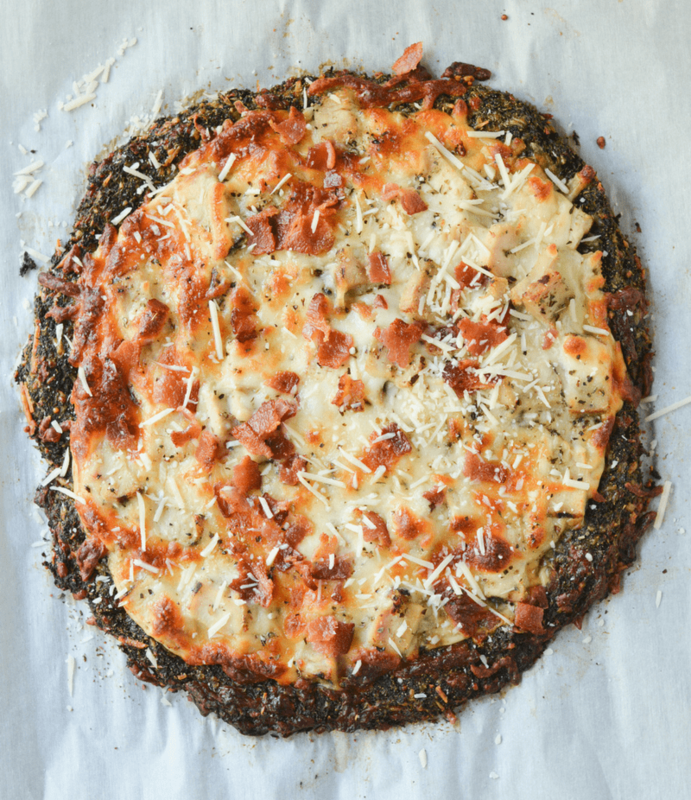 That’s why when I discovered this BROCCOLI pizza crust, I had to try it! The best part, you can buy broccoli already dried and riced in many stores, making this one of the easiest keto recipes! This recipe is from Hey Keto Mama! Anyone love nachos as much as I do? 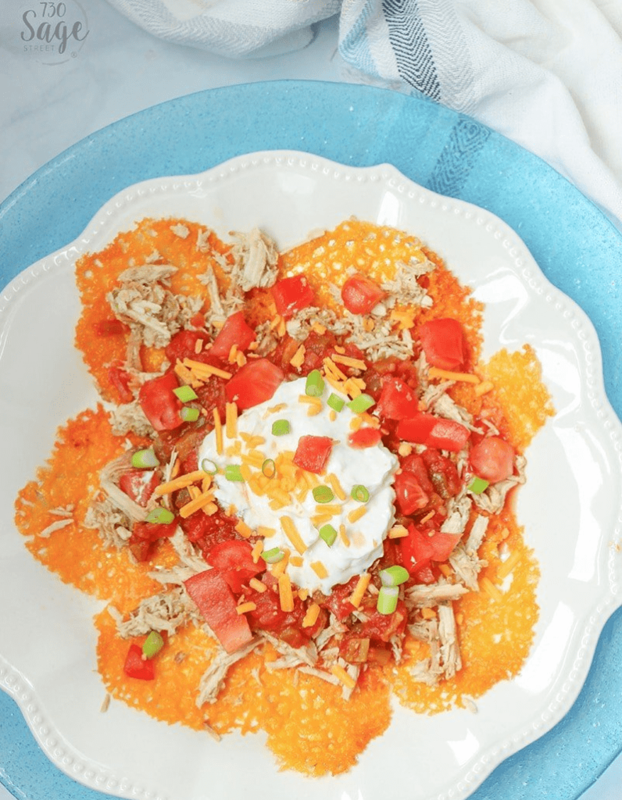 There is something so insanely delicious about the messy toppings you try to scoop up into each bite… These will SURELY satisfy your need for nachos while following the keto diet! The full recipe was found at 730 Sage Street. Make sure to let me know in the comments if you try any of these dishes out and what you think! 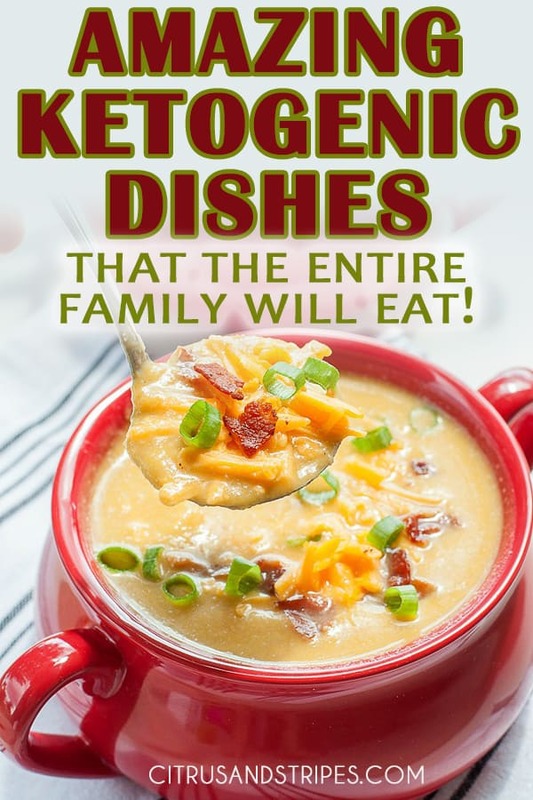 My family definitely doesn’t mind eating Keto because they love all of the food! Make sure to try the Smackfat Ketone Test Strips on your Keto Journey. They are the absolute best! Related: Considering starting your own blog? Check out this page with all of the info you need! Start A Blog Today or, if you already have a blog and are struggling with traffic, check out this post on how to skyrocket traffic overnight! how is corn salad keto?! Wow. I need to try Keto. I read a lot about health progress with Keto.